Happy Monday! I am excited to share my upcoming Big Shot class projects today. Aren't they pretty? They are fun to make too! RSVP - Please click HERE to register. Space is limited. 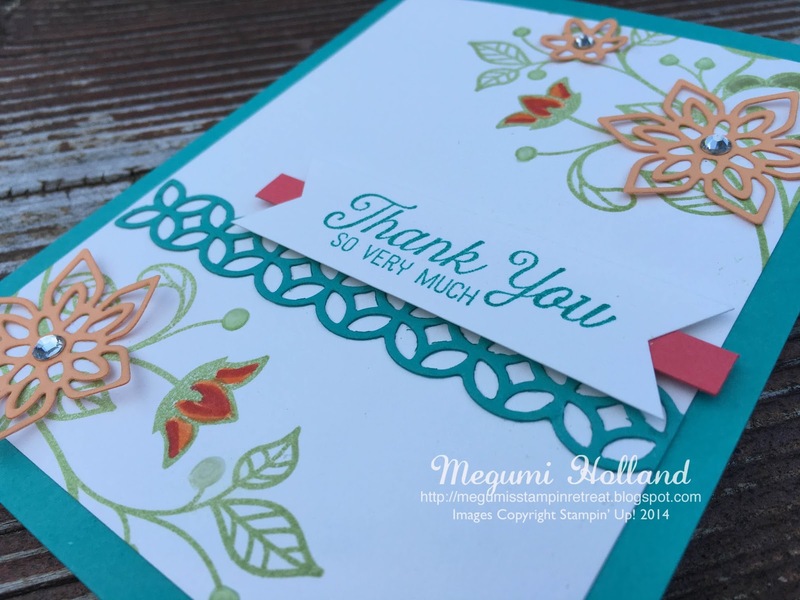 Did you know Stampin' Up! now offers Foam Adhesive Strips (141825)? They are fabulous! You can make shaker and spinner cards so easy with these. 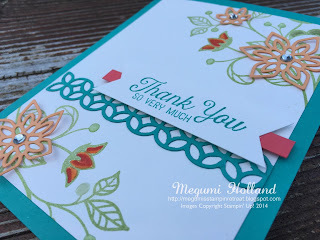 I am so impressed with the new Flourish Thinlits Dies! So beautiful!!! 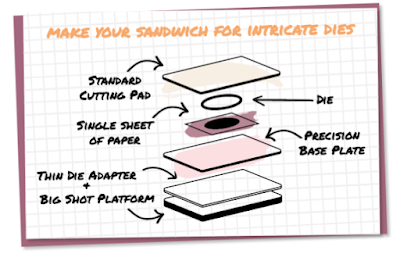 No hassle to remove small pieces from dies using the Big Shot Die Brush. Did you know Stampin' Up! now offers the new Big Shot Platform (142802)? 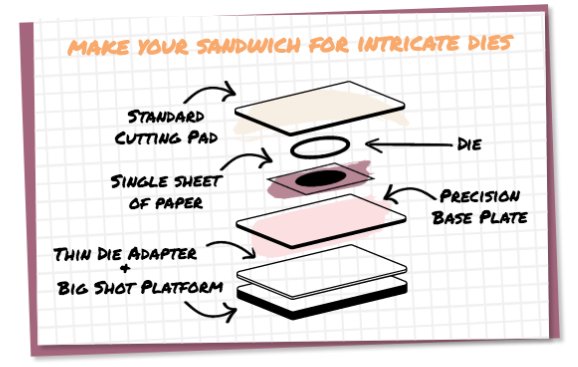 I set my Big Shot machine using the following instructions and had no problem removing small pieces from dies.